Your children can have the experience of growing up in a village! Our Coyote Pups parent and child program is a time where you and your little one can explore and learn about nature together. 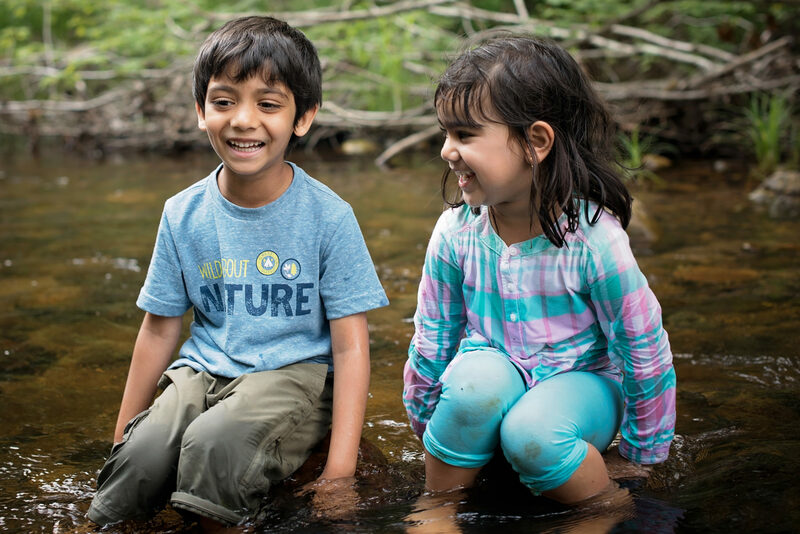 Meet families who share your love of nature and enjoy the community and friendships that form. Children in the program range from infant to five years old. Over the course of the day we sing songs, play games, create art, listen to stories, explore the forest, harvest wild feasts, and much more! Aunties, Uncles, Grandparents and other adult caregivers are welcome to bring your little one, too. While the program includes ages 0 to 5, the core group activities are created for ages 2 to 4 years old. Children under one can attend for free with an older sibling. During the winter we spend two hours outdoors, bundled up for a winter hike, while we look at animal tracks, enjoy warm wild birch tea around a camp fire, sing songs and play games together. 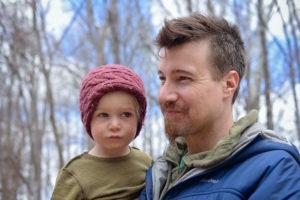 We will keep moving to stay warm (so bring a baby carrier or backpack for little ones) and enjoy each other’s company as we explore the land together. 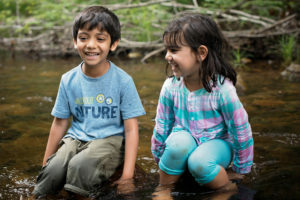 Children will learn through observation as their grown-up models how to enjoy the beautiful outdoors through the winter. Wearing layers is imperative for Winter Coyote Pups and caregivers. During the school year we meet weekly on the same day as our homeschool village classes. Children can look forward to many games, stories, crafts and exploration as they learn alongside their caregiver. Summer Pups get their first taste of summer camp as caregivers accompany them every day for a week (M-F) as we build community and get to know each other. This one week “camp” is followed by weekly meet-ups to continue getting together throughout the summer. Registration is accepted on a rolling basis until the program is full. Scholarships are available. 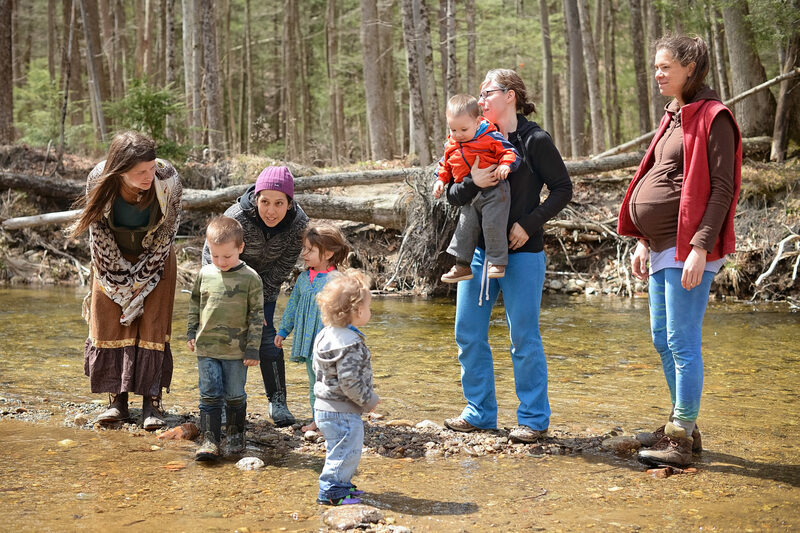 Join us for our Spring family overnight! See below for registration links; overnight registration is separate from regular program enrollment.